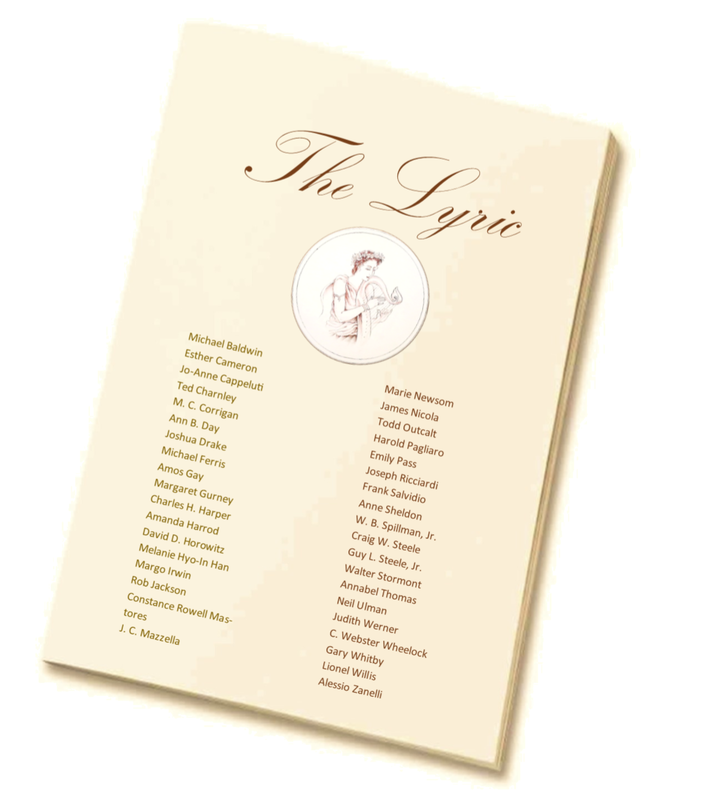 Founded in 1921, THE LYRIC is the oldest magazine in North America in continuous publication devoted to traditional poetry. We use rhymed verse in traditional forms, for the most part, with an occasional piece of blank or free verse. Forty or so lines is our usual limit. We print only poetry, no opinions, no reviews, no advertising. Our themes are varied, ranging from spiritual ecstasy to humor to raw grief, but we feel no compulsion to shock, embitter, or confound the readers. We also avoid contemporary political or social problems –- grief but not grievances, as Frost put it. Frost is helpful in other ways: if yours is more than a lover’s quarrel with life, we’re not your best market. And most of our poems are accessible on first or second reading. Frost again: don’t hide too far away. Poems must be original, unpublished, and not under consideration elsewhere. Please send a self-addressed, stamped envelope if poems are to be returned. A return envelope is not necessary if an email response is sufficient. Email submissions are only accepted from out of country. Please allow three months for response and inquire after five months. We do not publish translations. All contributors receive a complimentary copy of the issue containing their work and are eligible for quarterly and annual prizes. No other payment is made.